In the classroom today, Tim Norris talks to us about how diligent you should be about checking into the possibility of claims that exist for a property, before you purchase it. Tim emphasizes how before you make an offer, you can check to see if a home has any claims on it that you need to take into consideration, including the possibility of negotiating a lower offer because of the claims. Tim: Hey, good afternoon, folks. My name is Tim Norris. I’m with the National Real Estate Insurance group. We got another episode of the REI Classroom. Today we’re going to talk about how a claim on your property, before you own it, could affect your insurance. Tim: For those, when I go out and speak to groups about insurance issues for the real estate investors, one of the topics that come up is what is known as a CLUE Report. CLUE is an acronym, not the game that we used to play as kids, but CLUE is an acronym for Comprehensive Loss Underwriting Exchange. In reality, what a CLUE report is is a claims history on a property, especially what we would typically refer to as a residential property, such as a home or a duplex. When you run a CLUE report, you’re gaining history as to incidences that may have created claims on that property even before you owned it. You can garner a CLUE report at the LexisNexis website. Lexis is L-E-X-I-S, not the car, but L-E-X-I-S. N-E-X-I-S. Under their personal reports, I think they used to be at least, maybe $10 to $12. If you have an interest in that property, you can run a report. The last time you want to find out about the three water claims that occurred at the property is that the closing table or afterwards when your insurance agent calls to tell you that the rate that they wanted to charge you is actually going to be a little bit higher, because they found out about those claims on that property. So it’s a good idea to go into it, before you make an offer, even if you do have the ability to get out of that deal. Before you make that offer, go and then check out a CLUE report and see what kind of information you may dig up on a property before you own it. An example of how a CLUE report may be beneficial to you is probably best illustrated by real life in the real world. Let’s just use Joe, for an example. Joe ran a CLUE report on a property and found out there were two water claims and actually a kitchen fire that occurred at that house before he bought it. He would’ve had did the deal, but he actually negotiated a little bit better cost on the house because of that prior damage. As long as you’re remediating it, especially if you’re buying the property to eventually occupy with a tenant, typically, the insurance company won’t penalize you, so to speak, for those prior claims. 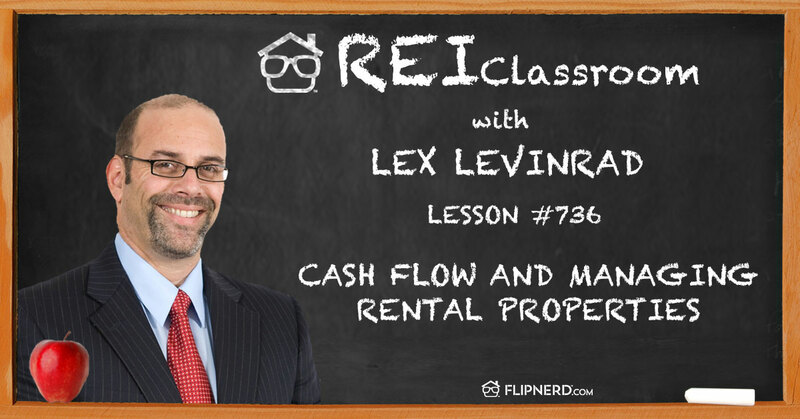 Most of us in the world of real estate investing, we’re planning on remediating it, especially if we’re going to rent it out. So again, the CLUE report can be a valuable tool to you to employ in your real estate business just to know a little bit more about that property before you invest. Mike: VirtualStaffNow.com is the leading virtual assistant provider for real estate investors. As busy real investors, there’s nothing more valuable than our time. And VirtualStaffNow.com not only helps you find the right real estate virtual assistant for you business, they train them on an ongoing basis, manage them daily to make sure they’re staying productive and effective and in the event they’re not the right fit or need to be replaced, they handle that for you too. Whether you need one or 100 virtual assistants for your team, start the process right now at VirtualStaffNow.com. Please note, the views and opinions expressed by the individuals in this program do not necessarily reflect those of FlipNerd.com or any of its partners, advertisers or affiliates. Please consult professionals before making any investment or tax decisions, as real estate investing can be risky. Please check out the FlipNerd.com family of real estate investing shows where you can access hundreds of expert interviews, quick tips and lessons from leaders across the real estate investing industry. They’re available at FlipNerd.com/shows or simply search for FlipNerd in the iTunes store.